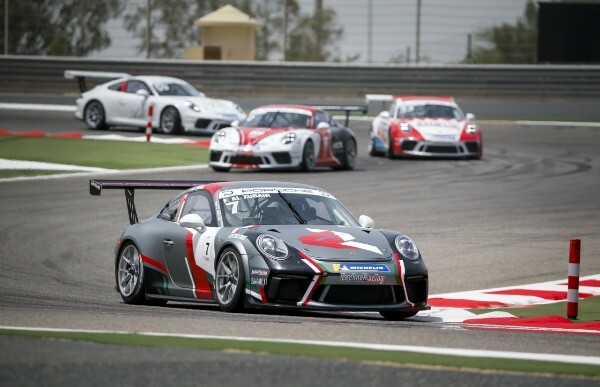 A faultless race saw 19-year-old Omani sensation Al Faisal Al Zubair win Race 1 of the Porsche GT3 Cup Challenge Middle East Round 5 in style. Taking maximum points in Round 6, which acts as the official support race to the 2018 Formula 1 Gulf Air Bahrain Grand Prix, Al Zubair added his name to the history books as the winner of Season 9. Starting on pole, Al Zubair was pressurised at the first turn by Scotsman Glynn Geddie, but fought for his position and took the lead. The safety car was deployed in lap one, due to Christoffer Bergström spinning out into the barrier, and prevented the Omani from creating a gap. That didn’t trouble Al Zubair though, who powered away at the restart to produce a five second lead and drive flawlessly until the chequered flag. Al Zubair jumped on to the Formula 1 podium, holding his trophy high over his head to a round of cheers from global motorsport fans at the circuit. 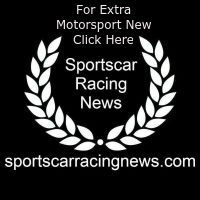 He becomes one of four Arab drivers to win the Porsche GT3 Cup Challenge Middle East championship, joining Kuwait’s Zaid Ashkanani, Saudi Arabia’s Abdulaziz Al Faisal, and Bahrain’s Salman Bin Rashid Al Khalifa as local talent that the series has already helped develop since its inception in 2009. Commenting on the race and his resulting championship crowning, Al Zubair said: “Honestly, I feel amazing. My start wasn’t the best and I allowed Glynn Geddie to get very close to me in the opening corner. I managed to pull more of a lead after the following three turns – my aim was to get as far out in front as possible and to not make any mistakes. Unfortunately, the safety car was deployed at that point, but I had a good re-start and pushed hard to re-gain the lead I had. We had the pace today and I crossed the line comfortably in first place. It was a great day for the future of motorsport, as the podium was dominated by teenagers. 19-year-old Bahraini Isa A. Al Khalifa gave a season’s best performance in front of his home crowd, battling his way from fourth on the grid to finish second. Behind him in third finished Porsche Junior China driver Daniel Lu. In only this third race in the championship and at just sixteen-years-old, he gave Porsche fans a glimpse of what is to come. Behind Lu, drivers were locked in a six-car battle throughout the race, which impressed the Formula 1 crowd in Bahrain. Bahraini Isa S. Al Khalifa maintained his cool to finish fourth, ahead of Scotsman Glynn Geddie in sixth and Dutchman Charlie Frijns in sixth. Team Bahrain also had more cause for celebration, as they took home the Team Category prize for the race too. As their first team win of the season, it seemed fitting for it happen at their home track – Bahrain International Circuit. Fans are welcome to attend the final race of the season, which will take place on 8th April 2018 at 15:30 local time, as a support race to the 2018 Formula 1 Gulf Air Bahrain Grand Prix.